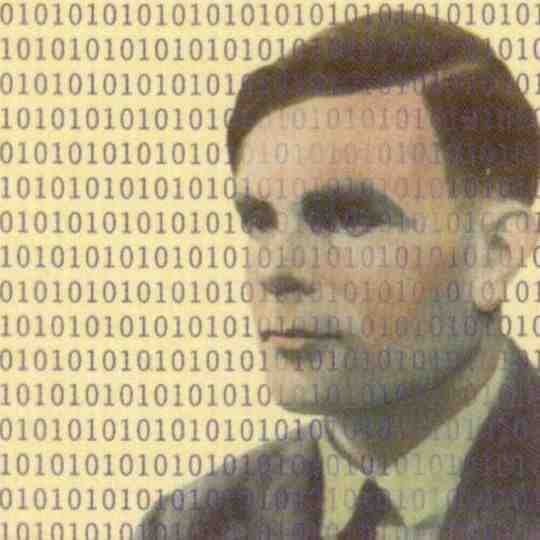 The announcement in the 2014 Budget by UK Chancellor of the Exchequer George Osborne of an institute for big data and algorithm research named after Alan Turing is outrageous. He did more than anybody else to defeat the Nazis and the possibility of world fascism forever, and his name is being associated with an institute which could (collaborating with PRISM used by the National Security Agency in the USA) actually bring about world fascism forever – with computers, mobile phones, CCTV cameras, etc., taking the role of human spies as used by the Nazis. The idea is to gather huge amounts of information about us and try to use computer software (algorithms) to analyse it, in order to model organisations and individuals in the world, predict what we are going to do (particularly if it involves trying to change society) and interact in various ways to bring about some sort of police state so that socialist change is impossible. Algorithms would virtually remove the need for human intervention, so there wouldn’t be whistleblowers like Edward Snowden. I am an artificial intelligence expert who was the main designer and sole implementer of an AI/simulation language called SDML, so know this in theory is possible (although my language did it on a small scale, some of the ideas and code could be used in a serious attempt to maintain capitalism or indeed conspire to ensure socialist change is brought about – perhaps the latter is the meaning of the dialectics.org website drawing on ideas described in the Foundation series by Isaac Asimov, which I will review in the near future). Check out my blog entry #copsoffcampus demos against police clampdown on student protests – infiltration, PRISM & possible UK police state for more information about moves towards a police state in the UK, PRISM, AI algorithms capable of analysing big data and infiltration of the left – another major method of trying to stop socialist revolution, about which home secretary Theresa May has been forced to launch a public inquiry (also about friends and family of racist murder victim Stephen Lawrence). Incidentally, the position taken by Trotskyists about the second world war being between rival imperialisms was wrong, due to the threat of world fascism mentioned above (unlike the first world war for which that analysis was correct – see The Big Questions: Is war ever just? Stop glorification of First World War by Michael Gove: Keep showing Blackadder Goes Forth in schools! #bbctbq). This entry was posted in Civil Liberties, Conspiracy Theories, Democracy, Infiltration, Racism/Fascism, Revolution, Terrorism, US politics, Wars and tagged Alan Turing, algorithms, artificial intelligence, big data, CCTV, cellphones, computer science, computing, Edward Snowden, Enigma code, Enigma machine, gay rights, GCHQ, homosexuality, LGBT, mobile phones, National Security Agency, Nazis, NSA, police state, PRISM, SDML, second world war, surveillance. Bookmark the permalink. Kudos to you on your — rare — sagacity in discerning the intent of the use, by the http://www.dialectics.org Foundation, of the “Foundation mythos” created by Isaac Asimov in his series of [ultimately seven] “Foundation” novels! In studying, and then, in July of 2012, in joining, Foundation Encyclopedia Dialectica, I learned yet a deeper layer of that intent: Karl Marx is the actual “psychohistorian”, the actual “Hari Seldon”, for the single-planet scale of humanity. Karl Marx is that “psychohistorian” not primarily in the sense of statistical-probabilistic modeling, but in the sense of predicting the future of humanity — socialism or barbarism, successful socialist revolution, or a “New Dark Age” of “the mutual ruin of the contending classes” — foreseeing this outcome of the evolution of capitalist society, in part by mathematical means [“the law of the tendency of the rate of profit to fall” due to “the rise in the organic composition of capital”, imperfectly reflecting “the growth of the social forces of production”], and organizing to actualize the positive potential of this prediction [“The First International”, etc.]. Marx’s work is “psychohistorical” — indeed, it constitutes a ‘psychohistorical materialism’ — not in the sense of bourgeois-ideological/atomistic “personal psychology”, but in the sense of the COLLECTIVE ‘psyche-ology’ of human intersubjectivity, of human culture, of the dynamic human “memes pool” — of what Karl Seldon calls ‘The Human Phenome’. Not just physical matter, but also these ‘meme-matters’, these ‘mental matters’ of the collective human mind, are “material” in the creation of a “material-istic”, objective, prediction-capable science of human history. The key categories of Marx’s ”’psychohistorical”’ theory of capitalist humanity, as set forth in the “Grundrisse”, and in the four volumes of “Capital” — e.g., surplus-value, value in general, the commodity value-form, the money-value-form, etc., “social relations of production” in general — are not categories whose elements are “pure” physical objects, “pure” physical “matter”, alone. The elements of those Marxian categories are, typically, socially-appropriated, and typically socially-created, physical objects, material objects, upon which capitalist-epoch humans [and, to a degree, humans of previous epochs], intersubjectively, collectively project their value-form memes, such that these humans, consciously or not, constrained to act as the agents and “personifications” of these social relations of production, consciously or not — as the personifications of the capital-relation, of the money-relation, of the commodity-relation, of the value-relation in general — intersubjectively constrain themselves, and constrain one other, to practice “as if” these memes were purely-physical’ purely-objective realities. They thereby produce a human social world which exhibits an intelligible course of development — even a partially mathematically predictable course of evolution — culminating in socialist revolution, or in ruin — “the mutual ruin of the contending classes”: a New, possibly Final, Dark Age. It is, as we see it, the task, and the “Seldonian” ethical imperative, of socialists, to work to avert, if possible, the collective agony of that ruin, of that New Dark Age, in a successful, pre-emptive, global social-relations-of-production social revolution, or, if it proves impossible to completely avert that ruin, to work to reduce both the severity and the duration of that New Dark Age. Thanks, Miguel, for your interesting and very constructive comment. I saw a post from you on the UK Left Network which alerted me to the http://www.dialectics.org website about the Foundation Encyclopedia Dialectica and Karl Seldon, which I immediately recognised is an amalgamation of Karl Marx and Hari Seldon. Marxism is sometimes referred to as “scientific socialism” and recognising Marx as a sort of “psychohistorian” makes a certain amount of sense. It is interesting that you refer to “the four volumes of Capital”, since only three are supposed to exist! Asimov wrote the original three-volume Foundation series, appearing first as smaller stories in science fiction magazines, in the 1930s, before the first computer successfully running a programme was built (at Manchester University, by a team including Alan Turing, after the Second World War). Hari Seldon’s work was clearly about building a sophisticated computer to model the past and present state of the galaxy to predict the future and determine what needs to be done to achieve a desired outcome. The role of the Second Foundation, at the opposite end of the galaxy, made up of people with powers to read minds and nudge people to do things that they would otherwise be less likely to do, was to make minor adjustments to the model as well as interact to ensure it was adhered to. That Foundation may appear to be entirely fictitious but hypnotists do exist (and I have been successfully hypnotised, fully conscious throughout, by a stage hypnotist so I know people aren’t always playing along). If there is a real world equivalent of The Mule, an individual with huge mind reading and mind control powers, then I would suggest that person is Derren Brown (who can control an entire theatre audience, with a cuddly toy thrown three times in succession to choose someone at random, for example). In the real world, it is not enough to construct general Marxist theories about problems in the world, or even to use such theories practically in political parties and campaigns. The strength of the forces of the state, particularly with relation to big data and AI algorithms (as I related in the blog post above), especially when combined with infiltration, means that socialists must use similar methods too. As soon as I came to the conclusion that there were a large number of infiltrators in my Trotskyist international organisation, I thought of setting up a counter-network, and it doesn’t take much imagination to come to the conclusion that the same thought will have occurred to others decades earlier! On numerous occasions since, I have come across circumstantial evidence that such a counter-network (or multiple counter-networks) already exist. However, it is only with your Foundation that one has revealed itself to me publicly. This all seems much grander than the project you are involved with, but perhaps you don’t want to reveal too much! Or perhaps there is some sort of inner conspiracy and you are more of a link-person to the outside world. There is a free “Primer” download, that I am about half way through reading, and a book available cheaply on a DVD, from the F.E.D. Press page on the dialectics.org website that I will order soon; I will review both for this blog. There is a danger that some people become over-concerned with the powers of the state and think it’s all doom and gloom, and an opposite danger that others may think conspiratorial organisations on our side (specifically this Foundation) will do all that needs doing and just leave it up to them. I read once that Asimov eventually saw the end of the galaxy controlled by the Second Foundation as fascistic, which was the motive for the later novels “Foundation’s Edge” and “Foundation and Earth” (he contradicted this by saying his motive was a sizeable amount of money in a preface to the latter book but I think he said that to outwit censors and get these novels widely read). Whether or not the different ending for the galaxy suggested in the latter two books is desirable and/or comes to pass in the world, we do have the free will to affect what happens. Well, I know I do anyway! I could never properly reconcile that with the Marxist concepts of (dialectical and historical) materialism even when in a Trotskyist organisation (which I was until 1998), but if successful computer modelling is being done based on dialectical materialism, this obviously adds considerable weight to its validity as a theory! Thank you for your rich and astute response! We agree with you that “socialists must use similar methods too”, to the computerized mathematical modeling methods already in use by the ruling plutocracy, but, yes also, to opposite ends to those of the plutocracy — to liberatory, not totalitarian and genocidal, ends — and, yes again, based upon Marx’s and Engels’ dialectical, [psycho]historical materialism, in our cases, applied via the new systems of dialectical mathematics discovered by Karl Seldon. So, you guessed right, again: that is what Foundation Encyclopedia Dialectica is all about. [And all this, notwithstanding the fact that the financial resources of anti-plutocracy organizations will always be less than those of the ruling plutocracy]. 1. The Equation of Human Ideology/Knowledge Meta-Evolution. 2. The Equation of Human-Social Forces of Production Meta-Evolution. 3. The Equation of Human-Social Relations of Production Meta-Evolution. 4. The Equation of Human-Social Formation(s) Meta-Evolution. 5. The Equation of the Human Genome / Human ‘Phenome’ Systematic Dialectic. 6. The Equation of the Meta-Evolution of Planetary Human[oid]ities. 7. The Equation of The Psychohistorical Dialectic of the Dialectic Itself. FYI: We of the Foundation make no claims to hypnotic powers, or, indeed, to “psychic powers” of any kind. But, yes, Foundation Encyclopedia Dialectica is, indeed, a conspiracy — a conspiracy to conduct, to disseminate, and to promote, what Marx called “universal labor” — in a time during which the ruling plutocracy is actively suppressing scientific and technological developments that could actually grow “the social forces of production” [e.g., fusion power], while accelerating the development of their forces of destruction [weapons technology, proto-totalitarian surveillance technology, etc.]. We are a cloistered, co-educational monastic sisterhood-brotherhood, “fractally” similar, for modern, capitalist times, to the ancient [i.e., B.C.E. ], Pythagorean brotherhood-sisterhood, the Platonian Academy, and to some of the post-B.C.E. — C.E. — Egyptian scholarly organizations of the Alexandrian proto-Renaissance, just prior to the plunge into the last Mediterranean/- European Dark Ages. But you are right, no one should depend upon this Foundation, or, in our opinions, upon any sequestered group, to make the revolution for them — that is a danger, as you noted, and a risk that, if realized, would be a disaster for humanity. The revolutionary transition to the political-economic democracy that looms, in possibility, beyond today’s plutocratically-degenerated and increasingly totalitarian capitalist “representative democracy”, must be created by the majority of humanity itself, if it is to be created at all. •	We accept no contributions of money from non-members. •	We advise our www public as to how they might move, in socio-political and economic ways, to bring about a Global Renaissance, and to avert a New/Final Dark Age, with the pledge that no member of the Foundation will ever seek, or accept, election or appointment to political power / political office, lest the pursuit of political power pervert and corrupt our motivations, and the very content of our work. •	If, as we fully intend, a regime of comprehensive, political-economic democracy, should “come to power”, all members of the Foundation pledge to remain outside of any elected or appointed positions within that regime, and, instead, to serve that regime in the greatest way we possibly could: by exposing, and opposing, any tendencies to the abuse of its new found power that emerge in its birth pangs. The Foundation has allied, and is allied, with activist groups. But we ally only with activist groups that themselves adhere publicly to at least the last two of the five pledges stated above. We look forward to continued dialogue with you, Steve, and are glad to have made your acquaintance. It is true that we believe that there are important extant manuscripts of Marx’s that have yet to be published, e.g., in the English versions of the collected works of Marx and Engels. One example is the manuscript entitled “The Money System as a Whole” [“Das vollendete Geldsystem”, written by Marx circa March-April 1851, and which is mentioned in the forward [p. 12], by Martin Nicolaus, to his English translation of Marx’s “Grundrisse” [“Foundations”]. We believe that this manuscript might provide further insights into Marx’s theory of capitalist crises, which is incomplete in Marx’s published writings, and which could not be more timely than now, with global humanity suffering through the most devastating global capitalist crisis since the 1930s. However, such are not what I had in mind in my reference to “the four volumes of Capital”. The “fourth volume” of Marx’s “Das Kapital” — indeed, from the longest, by far, of the final manuscripts for the four volumes of “Das Kapital” — has in fact, been published, long since, in many languages, from manuscripts [from 11+ notebooks] written by Marx circa 1861-1863, and was indeed written before he wrote the final manuscripts for volumes I-III. Volume IV was published, in English — itself alone in three separate, thick volumes — by Progress Publishers, Moscow, in 1963, 1968, and 1971, respectively, under the title given it by Marx: “Theories of Surplus-Value”. Volume IV is the “historico-critical” part of Marx’s critique of capitalist political economy — “The History of the Theory” of surplus-value — a critical history of capitalist “economics” from the 1600s [“mercantilism”] to the ~1860, and immanently critiques the political-economic views of each of the key capitalist political-economists individually, one-by-one. Though this IVth volume is not as well-ordered, or as polished, as the final manuscripts which became volumes I-III of “Capital” — especially volume I — it is chocked full of gems of world-historical insight, and of dazzling theoretical passages. Marx himself stated repeatedly, in his correspondence, his intention to publish this manuscript as the separate and final volume of “Das Kapital” [Marx to Engels, 31 July 1865; Marx to Siegfried Meyer, 30 April 1867].